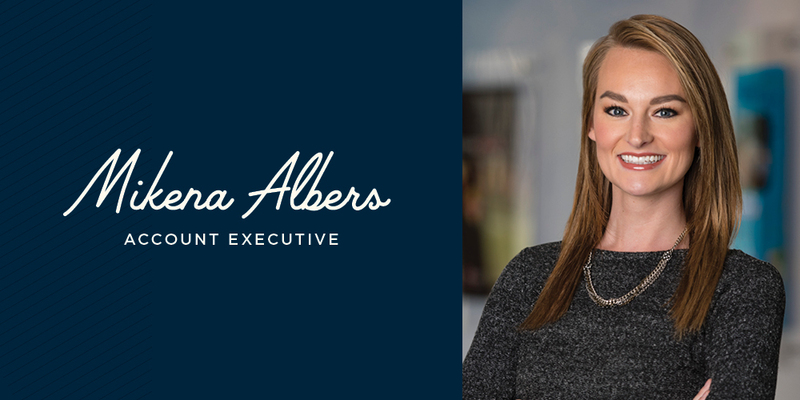 Caliber Creative is excited to announce the promotion of Mikena Albers to Account Executive. Mikena has been with the Caliber team for two years and has advanced from her previous role as Account Assistant. Over the course of the past two years, Mikena has excelled at her day-to-day responsibilities as well as found new ways to grow her client relationships. Beyond her routine tasks, Mikena has also been an integral part of company events such as monthly Town Hall meetings, annual Holiday event planning and one of the newest traditions at Caliber – Dip Day (it’s on 10/10 if you want to join us next year). “We’ve been excited to see the growth and ambition from Mikena over the past year or so and we know she has a lot more to offer our team as well as her clients,” said Brad DeVille, Partner and Creative Director at Caliber. With this promotion, Mikena will continue to serve her current line-up of clients as well as help them build out annual marketing plans, budget suggestions and overall marketing strategies. Mikena will also be tasked with a larger role in new business opportunities as well as find new solutions for current clients. “We’re excited for Mikena’s new role. We’re going to lean on her and challenge her a bit more, but I know she’ll be great at it,” said Casey Schultz, Partner and Strategy Direction at Caliber. “I’m looking forward to continuing my career growth with Caliber! I’m excited for this opportunity and ready to take on this role by getting involved in more projects and helping all of our clients in a number of ways,” says Albers.